Val Laird Designs - Journey of a Stitcher: A wonderful day! It's Easter Sunday here - a wonderful day! We celebrate every day the fact that Jesus is alive, but somehow Easter Sunday is extra special. We're off to church soon and I have the privilege of playing the organ for the service. It's also a wonderful day too because we have one of our granddaughters with us. Anita surprised us on Friday with a phone call asking could she come and stay for a few days. It's five years since we last saw her (she lives in Japan, has been studying in Brazil, and this year is studying in Australia). We have a lot of catching up to do! There's been a little bit of sewing done. 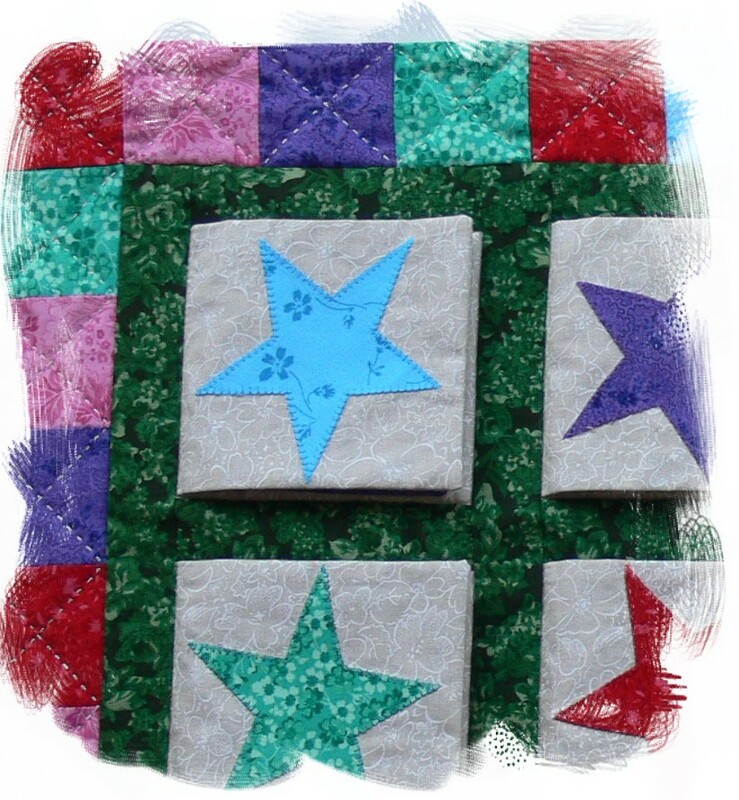 As I've mentioned before, I love making projects for children and another wall-hanging is now complete. 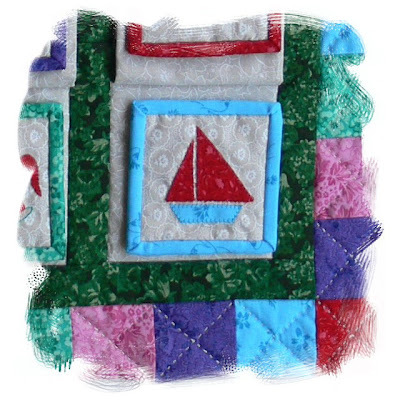 It's a wall-hanging with a twist - but a sneak peak or two will have to do as it will be off to a magazine soon. 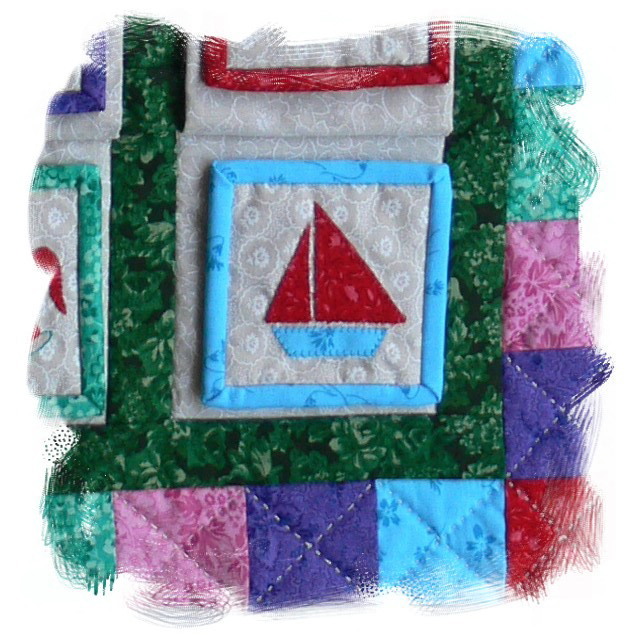 I had in mind some bright colours when I went looking in the stash for fabric for this project, not something I have a lot of, but there in the cupboard was a box of fat quarters that our daughter had given me for Christmas and the bright colours were just perfect for the design. 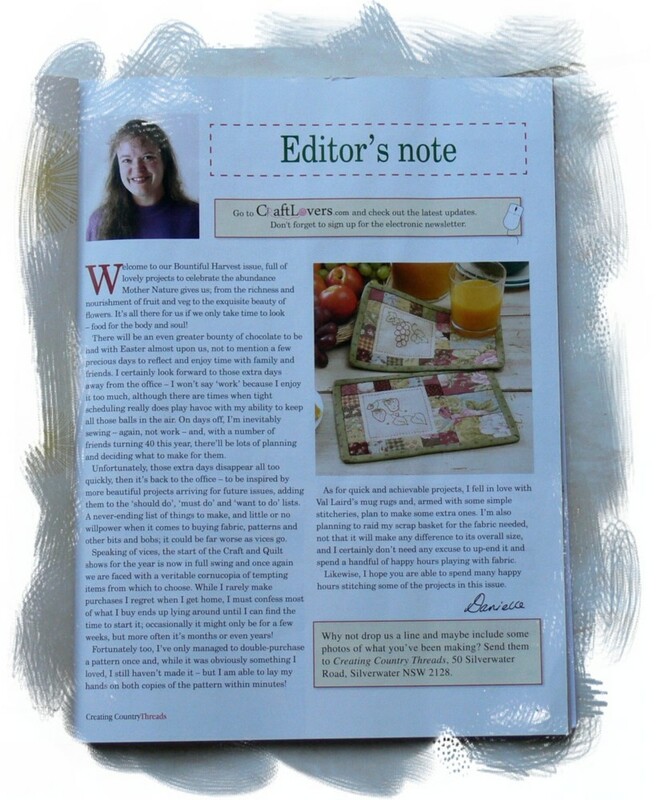 My "Fun and Fruity" mug rugs are in this month's edition of the fabulous Australian magazine, Country Threads. I never lose the excitement of seeing my designs in print! I better go and get organised to go out! I hope you have a wonderful Easter Sunday too! Beautiful pieces, I love the australian magazines. Have a wonderful, blessed Easter. 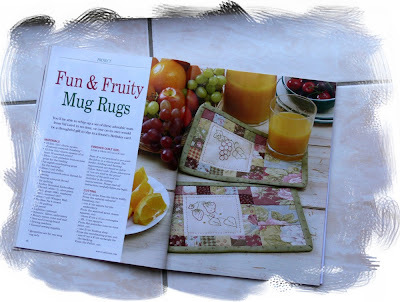 Your "Fun and Fruity" mug rugs are just too cute. Easter to me is strange this year. My 77-old mum is staying in the hospital since yesterday. She had a surgery of her appendix (I think in English). We hope and pray she will recover well. So this day is a great day because we know Jesus died for us, but also a little sad day because of my mum. I try to take care of my dad. We pray for the best! Happy Easter, Val. It's lovely that you're being printed! What a thrill. 8) It's very neat that your project was singled out for the editorial page too. Way cool! Happy Easter, Val! I hope you enjoy your time with your granddaughter! Your new project looks darling, and I LOVE your mug rugs. You should be proud to see them in print! I have been reading in Exodus about the skills of the artisans and their value as they came with a willing spirit and God's blessing on their work. A great way for us to approach our work. 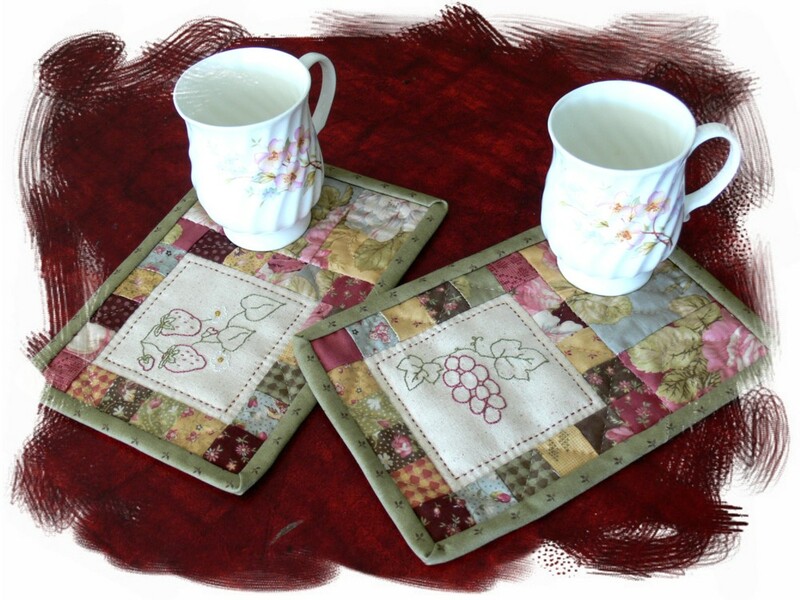 and now I am up to mug rugs...we are going to make some at our next patchwork meeting.